• I’ve done a complete 180 on George Clooney. Used to hate him. Now he’s on the verge of becoming my favorite living actor who isn’t Clint Eastwood. I loved him in “Men Who Stare at Goats” and in “Up in the Air.” Still, that doesn’t mean he’ll ever rise to the level of John Wayne, Paul Newman or certainly Eastwood. We live among sissies. • My wife hated “Men Who Stare at Goats” as much as I loved it. We’re usually in agreement on movies. She found it utterly stupid and pointless, which made me love it even more. I’m going to buy it the instant it comes out on DVD and make her watch it with me every year on my birthday. • The Steelers were knocked out of the playoffs last Sunday and today we have about two feet of snow on the ground with no let up in sight. The men in the bar where I drink all look like Jack Nicholson did in “The Shining” right before he want insane. But to be fair, they look like that even when the Steelers win and the weather is mild. • I drink in that bar so much I just pray ugly isn’t catchy. • As part of our snow day activities, we all bundled up and went outside for a frolic. It was beautiful. Toward the end, the girls persuaded me to lay down on my back so they could bury me in snow like they do with sand on the beach. The 9-year-old threw two shovel fulls of snow on my face. The instant the snow struck my forehead, I felt the hell of 1,000 hangovers. They got mad when I shrieked in pain and ran screaming into the house. • My three favorite Americans of all time are Benjamin Franklin, Mark Twain and Bugs Bunny. But after reading Jon Krakauer’s outstanding new book, “Where Men Win Glory,” I need to amend the list. I’m adding the name Pat Tillman. The story of his life and death and the disgraceful way the Bush administration used him to promote a war he loathed and thought illegal is among the most moving stories ever told. • I pray nothing really, really bad ever happens to me, but if it does I hope Krakauer’s around to write about it. His books (also including “Into Thin Air,” “Under the Banner of Heaven,” and “Into The Wild”) are four of the best books I’ve ever read. • I wonder if a guy as accomplished as Krakauer ever gets depressed. He’s got international acclaim, appears on shows like “Meet the Press” and earns enormous advances from big shot publishers. I have none of those things, but I think it would depress me if I always wrote about human misery. I don’t know if I could do it. • What am I talking about? Somebody just asked me to do a story about amusement parks and, I swear, I really had to think about it before I said yes. No wonder a stable bank account is as elusive to me as the rare albino snipe. • Since the Steelers got knocked out of the playoffs, western Pennsylvania sports fans like me have been concerned about what diversions will get us through the winter. Many of my friends say it’ll be the Pittsburgh Penguins. They are wrong. I’m a huge Pens fan but last year revealed how meaningless the NHL regular season is to the big picture. The Pens stunk it up throughout the year but got hot at the end of the season and won the Stanley Cup. NHL playoffs are as compelling as any event in sports, but hockey doesn’t matter until mid-March. 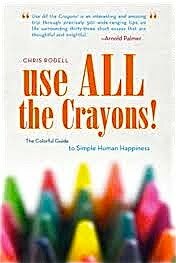 • What’s going to get me through winter? “USA! USA! USA!” Just 35 days to the winter Olympics in Vancouver. Hi-def coverage has for me revolutionized the coverage of this stuff. It’s just spectacular. • Times are tough, but I’ll burn the furniture for fuel before I give up my XM satellite radio. • Add Twitter (http://twitter.com/8Days2Amish) to the list of things I swore I’d never do and belittled others without mercy for doing. At the top of the list of things I swore I’d never do and belittled others for doing are marriage and fatherhood. • I said, “Be Kind, Rewind” to my daughter the other day and she looked at me like I was from Mars. My understanding of the trajectory of fathers/daughters is that’s the face I’ll see when she looks at me through at least the year 2019. • My fingers are getting tired so that’s enough structured incoherence for this snow day. Tomorrow I’ll get up early and resume the search for the elusive albino snipe. i'm with you on the george clooney thing. i thought i'd never forgive him after he killed batman, but seeing him in stuff like 'burn after reading' and 'men who stare at goats' (even though i didn't like that one, either), i have a newfound respect for him. however, i think my fave actor who isn't pacino has got to be johnny depp. not because he's a looker, but because he has such phenomenal talent that he can make the dumbest things (charlie and the chocolate factory) absolutely mind-blowing. he's priceless. now that the bengals are out of the playoffs, i just get to watch xavier basketball until the spring thaw when the cincinnati reds promise to give us another crappy season. 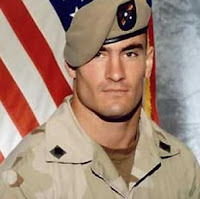 and i agree about the pat tillman thing. i really despised the bush administration after that mess. Excellent point, lexcade. I forgot all about Depp. Understand it was a snow day and I wasn't thinking too hard. But you make a great point. He's outstanding. Pacino's great, too. And Nicholson. And Freeman. And Denzel. There's a bunch of good ones, on second thought. Maybe Clooney's about 8th. Still, that's a long climb for him. I had him near last. I felt bad for your Bengals. I was hoping they'd make a dent in the playoffs. They've been down too long. Now, I'm bumming that most of the remaining games will either be in domes or 70 degrees. Besides Tillman, the Bush gang disgraced themselves with their conduct over the Jessica Lynch rescue. Of course, that's small potatoes compared to the whole let's-invade-Iraq over trumped up lies/without Allies/while we're already at war, etc.